Trout camp doesn’t get any better. We scored on trout, mushrooms, and northern pike. And entertainment. 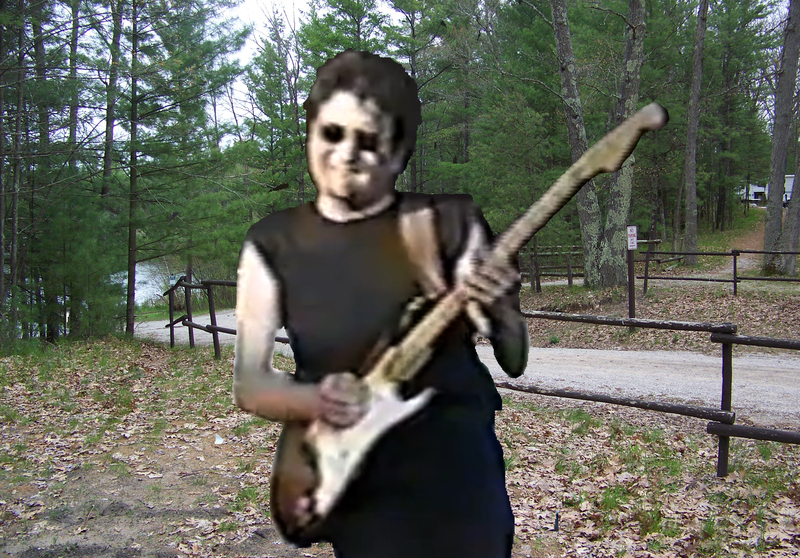 I invited an exceptional guitar player to camp knowing he would fit in with our strange group. Keith H played in various bands around GR in the seventies and eighties, including putting himself though college doing gigs. If you were around then you might remember “Einstein” which played venues across the state. He hasn’t lost his touch. Toward evening we pulled out the guitars and he opened up with Superstition (ala Stevie Ray Vaughn version of the Stevie Wonder song). The cat can play. Feral provided vocals and made up lyrics on the fly for some songs, and the melody on others. Natch tried to remedy that by looking up lyrics on an ipad and holding them up for Feral to read. Feral was seeing double from the Labatts and staying in time with Keith’s perfect rhythm probably seemed foreign to him after jamming with me for so many years. I played an acoustic guitar on some songs while Keith played the Lead Paul (pronounced “led” – like the metal) through a Roland “Street” which is a battery powered guitar amp and PA rolled into one. (Remind me to jam with Keith before beer o’clock). We camped at Big Leverentz and we had the campground to ourselves. It was almost spooky. 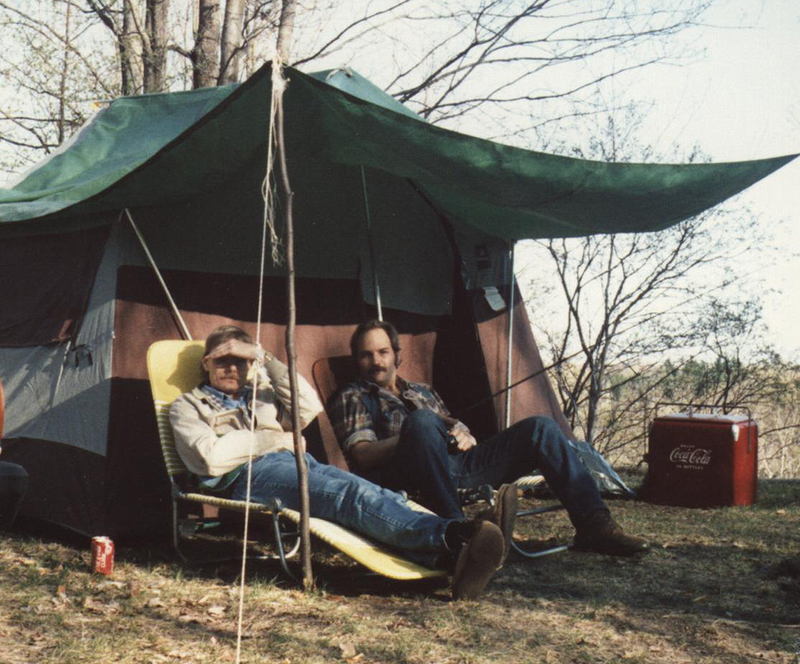 If it was rainy I would understand but the weather doesn’t get any better in Michigan for camping – low seventies with a quiet breeze. 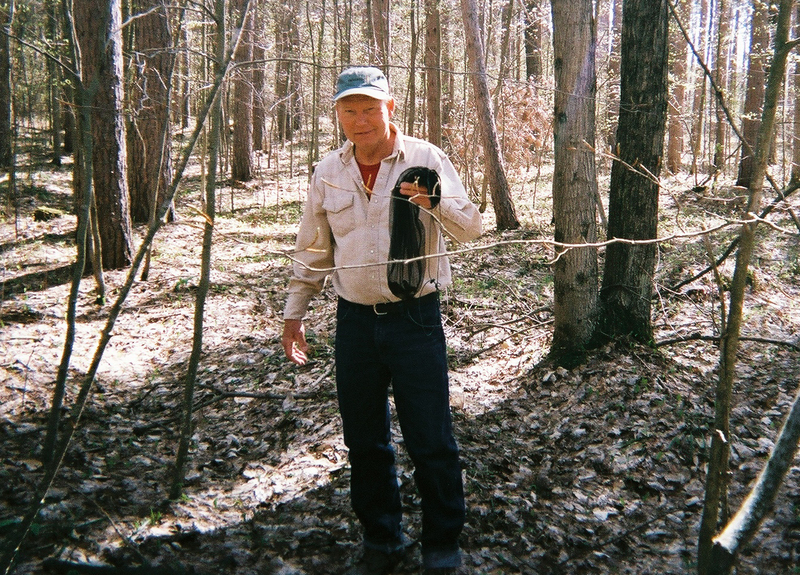 Feral fried up some morel mushrooms on Saturday night – about 40 we found up by the Pine River. They lasted about five minutes because everyone was being polite. Icy Labatts and morel mushrooms. I don’t have to explain that to anyone. Big Leverentz gave up several nice Pike including one about 3 feet. Fishing for pike always results in catching bass – they hit the same lures, so we caught and released a lot of bass including one about about 3-1/2 pounds. Natch caught bass almost non-stop on Culprit plastic worms, which is also a good pike bait. 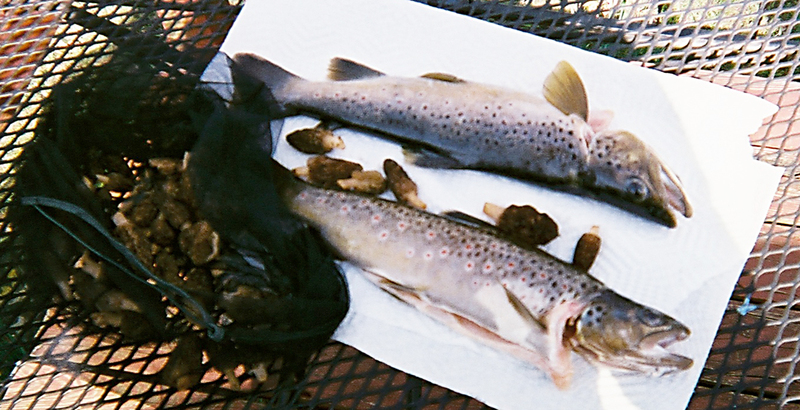 Trout fishing was also good. Feral and I went back up to the Pine to check again for mushrooms (found another 40) and took a couple of decent trout, two browns about 16 inches, which we cooked up on the last day. 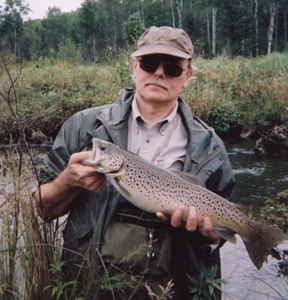 We lost other trout and saw a few that were in the twenty plus range. Mike and Denny came over from Bray Creek and we shared the fish and mushrooms with them as an evening snack. 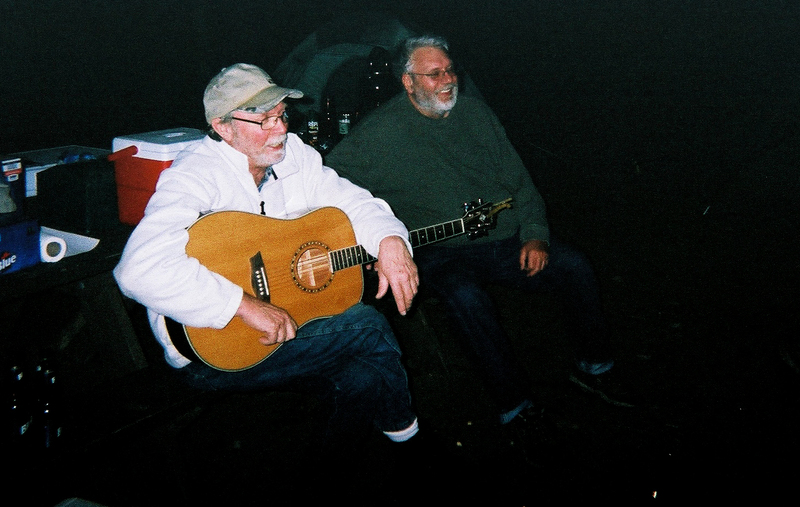 Denny had his Washburn acoustic guitar and played a song done by “The Band” and we all joined in. Can’t recall the name of the song but it was a nice way to cap off a great trip.